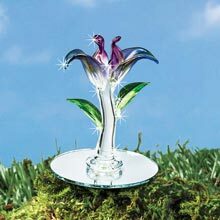 Keep springtime in your heart all year round with one-of-a-kind art glass mini flower. 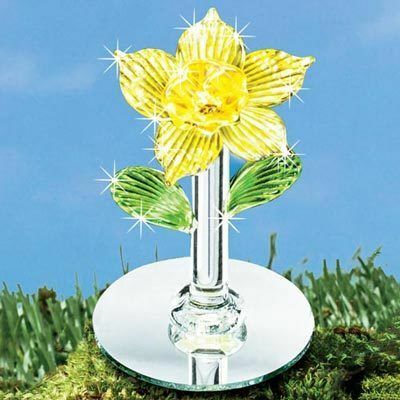 Hand-blown colored glass is expertly formed into a unique daffodil accented with green leaves. 2" - 2½"h; Base, 1¾" dia.